Non-randomized interventions can also add useful information to the knowledge of prevention. Studies below include those that used both individual- and community-based approaches. Odea conducted a pre-post evaluation of 14 Australian Aborigines (10 with diabetes, four normal) who lived in an urban environment and were willing to return to a hunter-gatherer lifestyle in their ancestral homelands for seven weeks73. After metabolic evaluation, the subjects and study team travelled into remote northwestern Australia and ate nothing that they did not hunt or gather directly for most of the period. Two environments (one inland and one coastal) provided some variation in intake. On average, 64% of energy intake was from animal sources. It was very low in fat (13%), with approximately 33% carbohydrate and 54% protein. This represented a marked change from the pre-test urban diets, which averaged 50% carbohydrate, 40% fat and 10% protein. Once in the bush, only about 1200 Kcal/person/day was ingested, resulting in an average loss of 1.2 kg/week (total -8.1 kg) in subjects with diabetes. Upon return to an urban setting, metabolic measurements were repeated. Marked improvements in fasting glucose and insulin levels of the 10 people with diabetes were noted, with significant but smaller changes in post-challenge values. 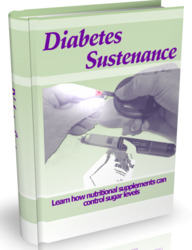 Using current ADA criteria26, seven out of 10 became non-diabetic during the bush period. By WHO criteria24, none became normal, three tested IGT and seven remained diabetic, due to the greater reliance of WHO criteria on postchallenge values. This small study provides powerful evidence that the effects of Westernized urban lifestyle can be partially reversed, and that such a lifestyle contains deleterious elements which markedly worsen glucose tolerance. Similar cross-sectional findings in Pima Indians living a more traditional lifestyle (in rural Mexico) also support these observations74. These simple but elegant studies suggest that such interventions can effectively reverse the trend toward greater energy consumption among indigenous populations. Eriksson and colleagues75 conducted community screening of 6956 47-49-year-old men in Malmo, Sweden, starting in 1974. One hundred and eighty-one men with IGT (by pre-WHO criteria) were non-randomly enrolled in a lifestyle intervention at one clinic site, and 79 other men with IGT were not enrolled but were followed, along with a randomly selected normal control group (n = 114). At the six-year follow-up, 161 out of the 181 men with IGT in the intervention group were retested (89%), as were 56 out of 79 non-intervened men (70%), and 114 of the normal controls. Intervention consisted of unspecified dietary advice and increased physical activity conducted either in groups or individually. There were improvements in VO2max , lowered body weight, BP and serum triglycerides, greatest at one year, but maintained over the six years. Among people in the IGT group without intervention, 21.4% met criteria for diabetes (> 6.7 mmol/l fasting and/or > 11.1 mmol/l at two hours), whereas only 10.6% had diabetes in the intervention group (RR = 0.49 (CI 0.25-0.97)). Subjects who lost the most weight and improved oxygen uptake the most had the greatest improvements in glucose levels. 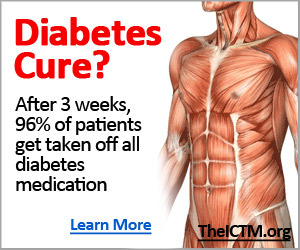 These results were further explored in another report76 which showed that, in addition to forced vital capacity (as a correlate of fitness), insulin resistance (higher 2 h insulin level) and lower insulin secretion (40 minute insulin increment during the OGTT) predicted diabetes independently among people with normal glucose tolerance. A 12-year mortality follow-up of this cohort has also been recently published77. Mortality among the IGT intervention group was lower than in the non-intervention group (RR = 0.47 (CI 0.24-0.88; ARR = 7.45/1000)), and was the same as for people with normal glucose tolerance. Even though baseline levels of glucose, BMI, lipids and insulin were very similar between the intervention and control groups, the failure to randomize subjects could have introduced important behavioral or other selection bias which might account for the lowered incidence of diabetes and mortality in the intervened group. However, the non-random design may have contributed to long-term adherence. This study suggests that long-term interventions for prevention can be maintained in this population, and gave early support to the concept that lifestyle changes might prevent diabetes and improve long-term mortality. Ramachandran and colleagues in Madras, India undertook a clinic-based primary prevention programme among subjects who were recruited because one or both parents had diabetes78,79. They recruited over 1200 offspring and began a primary intervention program aimed at diet change, weight loss, and increased physical activity (primarily walking). They have reported two analyses of subsets of these subjects78,79. In the first analysis, they noted that, among 262 subjects with an average of eight years in the program (and a minimum of four years), weight gain was a strong predictor of subsequent diabetes (OR = 5.1 (CI 2.6-13.9)78. In a subsequent analysis, they explored the influence of specific components of the prevention program79. They analyzed 187 of the 220 subjects enrolled in a later phase of the program who had at least two years of follow-up (average of 6.8 years), a non-diabetic OGTT at baseline and a repeat OGTT which was either normal by WHO criteria or showed type 2 diabetes. A nested case-control analysis examined the likelihood of continued participation in the diet and physical activity programs, and measures of psychological stress, along with family history, weight reduction, age and gender. Both participation in physical activity (primarily walking for 30 minutes per day) during the programme (OR = 0.41, (CI 0.19-0.87) and less psychological stress were seen in people who did not develop diabetes. No effect was seen for dietary adherence to a high-carbohydrate, high-fiber, low-fat (20%) diet or, in this subset, for weight loss or family history (comparing two parents with diabetes to one parent with diabetes, since everyone had a family history). The nested retrospective design has important limitations, since diet and physical activity adherence and measures of stress were collected only at the last examination rather than prospectively, making them subject to potential recall bias. It is also not clear whether the subjects were aware of their OGTT results at the time of the interview. These studies, while non-randomized and with weaker designs, were done in the context of intervention programs which may be feasible in developing countries. They suggest, but do not prove, that such primary prevention interventions may be beneficial. Other non-randomized clinical studies are not reviewed here due to severe methodological limitations80.